Change can be a tough thing for any band but when the frontman changes, it can sometimes be a lethal blow. However, sometimes there’s a rare instance when it doesn’t phase a band whatsoever and when that happens, it’s a beautiful thing. When the band flourishes, it’s even more special. Enter 2018 and Of Mice & Men are set to release Defy, their first record without longtime singer Austin Carlisle- as longtime bassist Aaron Pauley takes over the reigns. Needless to say, the album has been highly-anticipated and the band started playing shows with their altered lineup in 2017 to get people ready for what was coming in Defy. No one could ever truly prepare for what Of Mice & Men had in store, though- which has become one of the strongest records they’ve released in their career. First, it has to be said that keeping things in-house and not bringing in a new singer was the smartest decision they could have made. Fans don’t need to familiarize themselves with a new face and new identity- rather, it’s the same core members but Pauley just has an extra duty. Granted, it’s probably the most important of his career, but he embraces it and knocks it out of the park. If you doubted him at all, you’re in for a very pleasant surprise. The title track opens the record in full force, showing the band haven’t lost any edge by Carlisle departing- in fact, they have even more aggression and powerful. 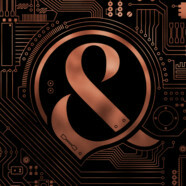 “Instincts” continues this statement and keeps you invested until you come up to “Back to Me,” which is a track that will convert even the strongest Of Mice & Men doubter to a big fan. It’s by far the standout track of the record. While songs like “Vertigo,” “On The Inside” and their cover of Pink Floyd’s “Money” (sorry, guys, it just doesn’t fit) don’t quite blow you away, tracks “Unbreakable,” “How Will You Live” and “Warzone” completely make up for it and are addicting as any of their past anthems. Then there’s “Forever YDG’n” which is top level “YDG” song of the ones the band have written, which will completely destroy you before “If We Were Ghosts” closes out the album, showing Pauley’s true singing voice, which is as beautiful as you’ll find anywhere and proves Of Mice & Men can slow it down and put together one hell of a ballad. In the end, Defy proves the lineup change hasn’t set them back one iota. 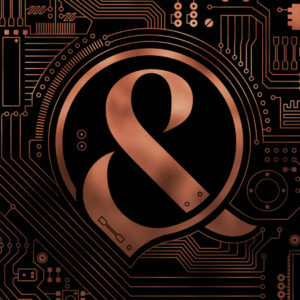 Sometimes it takes something painful and dramatic for a band to put together their masterpiece and this is a record that doesn’t do just that- it solidifies Of Mice & Men as one of the heavy hitters and a band that shouldn’t be taken lightly.